From work on the ground to collective global action, find out how the WaterAid family works together to bring about change globally. WaterAid is an international not-for-profit federation, determined to make clean water, decent toilets and good hygiene normal for everyone everywhere within a generation. We started in 1981, when several UK water companies came together to find a solution to a global crisis that had left billions without water, toilets or hygiene. In 2010 WaterAid became a global federation of national member organisations. To date, we have seven members: Australia, Canada, India, Japan, Sweden, the UK and the US. Each member organisation mobilises support in its home country, engaging individuals, companies and institutions to raise funds and influence policies to support our mission. We collaborate on regional and global advocacy and campaigns to influence governments, companies and international institutions. Australia, India, UK and US also manage and fund country programmes like this one in Madagascar, on behalf of our global network. Principle 1: Global interest. Achieving WaterAid's mission as effectively as possible is fundamental to all we do and global interest is paramount. Principle 2: Subsidiarity. WaterAid international will only undertake activities that it can and will deliver more effectively than WaterAid member countries. Principle 3: One country, one WaterAid. WaterAid will only have one delivery organisation in each of the regions or countries where services are provided. Principle 4: Sustainability. The members of the WaterAid federation will be organisations that are, or are expected to become within a reasonable time-frame, self-sustaining and able to contribute significant resources to the delivery of WaterAid's strategy. WaterAid's work around the world is steered by a global strategy with four overarching aims. The international board is responsible for ensuring that there is a process for developing and reviewing this strategy. Furthermore, that the programmes of work developed and delivered by each member are meeting these aims and are taking us closer to our goal: making clean water, decent toilets and good hygiene a normal part of everyday life for everyone, everywhere. The international board delegates operational decision-making and co-operation to the Global Executive, a body made up of the Chief Executives of each of the WaterAid members, and the directors who take a global leadership role for their function. The board ensures, through this body and the member boards, that all WaterAid members' work is in keeping with WaterAid's values and strategy. The international board agree the expectations of our members and standards for how we work; dealing with financial probity, safeguarding, health, safety and security, people management, and service delivery. All WaterAid staff globally are bound by our Code of Conduct and our Global Ethical Policy. The international Board is responsible for building WaterAid as an effective global federation so that we can deliver our mission: safe water, decent toilets and hygiene for everyone everywhere by 2030. This includes finding and working with potential new members, and overseeing our global investment in organisational growth and development. The international Board, through the WAi Secretariat, ensures that the WaterAid brand is protected and managed globally. We set clear expectations for our member organisations and regularly review how each member is meeting these so we are confident in allowing them to use the WaterAid name. WaterAid international is made up of an international Board of Trustees and a small secretariat led by our Executive Director. The WaterAid international Trustees are the Chairs of each WaterAid member organisation, plus an additional Trustee from WaterAid UK. The Board is currently chaired by Rob Skinner. They are all volunteers who give their time, energy and expertise for free to help WaterAid change lives. Sumit Bose is Chair of Jal Seva Foundation (WaterAid India) and an Associate Board Member of WaterAid international.. He joined the Indian Administrative Service in 1976 and has held senior roles in the Ministry of Finance, Government of India. He was Joint Secretary in the Ministry of Human Resource Development and has been Vice Chair of the National Institute of Public Finance and Policy, Chair of the Board of Vidhi Centre for Legal Policy, and Public Interest Director of the Bombay Stock Exchange since 2016. 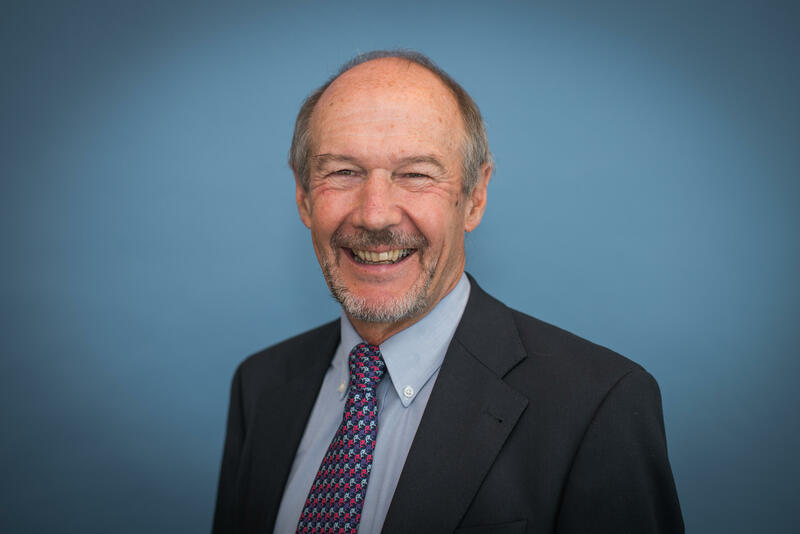 Tim Clark joined the international Board in 2015, and is also Chair of WaterAid UK. Before joining the WaterAid team, Tim was a senior partner of leading international law firm Slaughter and May. He is a Board Member of various charitable organisations including Paul's Cancer Support Centre and the Geoffrey de Havilland Flying Foundation. Tim is also a member of the Audit Committee of the Wellcome Trust and the Development Committee of the National Gallery. Tobias Krantz joined the international Board in July 2017, and is also Chair of WaterAid Sweden. Tobias was appointed Deputy Chair of WaterAid international in December 2018. He is currently Head of Education, Research and Innovation at the Swedish Enterprise. Tobias was formerly Sweden's Minister for Higher Education and Research and has several years of experience in politics as a Member of Parliament. He is a board member of Örebro University and the business research institute, Ratio, and is currently the Chair of WorldSkills Sweden. Kiyoshi Kodera is President of Water Aid Japan. He is currently a Senior Research Associate with the Development Strategy and Finance team at ODI and an advisor to Sompo-Japan-Nipponkoa Insurance Inc. He began his career at the Ministry of Finance in Japan, moving on to be Country Director of the World Bank in Central Asia. He has served as First Secretary at the Japanese Embassy in the US and on the boards of the World Bank, the African Development Fund and the Inter-American Investment Corporation. Most recently, he was Vice President of JICA (Japan International Cooperation Agency). Prior to joining JICA he served as Executive Secretary of the Development Committee of the World Bank and International Monetary Fund. Annette joined the Board of WaterAid Canada in 2014 and was elected Chair in 2018. She is a lawyer by profession. She was Vice-President of Corporate Strategy and Regional Management at the International Development Research Centre (IDRC), responsible for IDRC’s communications, strategy, evaluation and its offices in the developing world, and prior to that was IDRC’s Corporate Secretary and General Counsel. Before joining IDRC Annette was General Counsel at Ottawa International Airport Authority. She started her career in private practice in Ottawa and Washington, D.C.
Marc Robert was appointed to the international Board in 2014, and is Chair of WaterAid America. He is a partner of Water Asset Management LLC, an investment partnership focused on investing globally in companies and resources that ensure water availability and quality. He has also spent over 25 years in the equity investment industry. Prior to joining Water Asset Management LLC, he was Managing Director at Morgan Stanley in New York and London. Rob Skinner was appointed Chair of WaterAid Australia in 2012 and Chair of WaterAid international in 2016. He is Professorial Fellow at the Monash Sustainable Development Institute, Monash University, Melbourne. He has extensive experience in organisational leadership, including six years as Managing Director of Melbourne Water and ten years as CEO of Kingston Council in Victoria. Ken Caldwell joined us as our first Executive Director of WaterAid international in January 2017. After an early career in industry with management consultants McKinsey, Ken worked for over two decades in leadership roles in national and international NGOs, including International Director at Save the Children and Deputy Director at VSO. Prior to joining WaterAid, Ken led a consultancy business focused on establishing best practices for developing successful global INGO federations. He also held a number of non-executive roles in the sector, including board member of the Institute of Development Studies, and founding chair of BOND - the consortium of UK international development agencies. He is currently a board member of Oxfam GB. In his role as Executive Director of WaterAid international, Ken works with the WaterAid member CEOs and boards to maximise our collective impact, develop the WaterAid global network and lead the WaterAid international secretariat. Ready to make a difference? Donate today and help change someone's life. By working together, we can enable entire communities to unlock their potential, break free from poverty and change their lives for good.